For those of us who love to grill, we look forward to the long days of summer. For us, they mean more time to grill outdoors, more time with family and friends, and more time for eating amazing food. We love to eat veggies, fish, red meat, and fruit that’s been freshly prepared and cooked on the grill. It’s a passion for many of us, and the season is perfect for only a few months a year. With all the excitement that comes with grilling season, it’s not hard to forget about BBQ safety. And believe me, every year it’s more important to refresh our minds about ways to keep our family and friends safe. Grilling safety really is important for those of us who go to parties. And we must do our best to make a charcoal grill safe for all of us in the vicinity. When I use the words “barbecue safety”, what comes to mind is usually something to do with fires or flames. 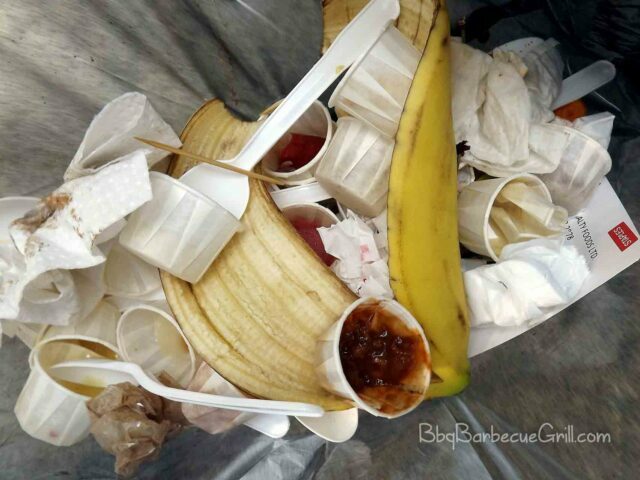 But there is always the hazard of food going bad or food-borne diseases from food sitting out or improper packaging. Shop carefully. It’s not silly to picky when it comes to feeding our bodies. Inspect packages at the store, check for leaking material (don’t buy) and double-wrap meats and fish to keep them away from other products. Don’t leave meat out of the fridge, even during parties. It needs to stay cold to prevent bacterial growth. Freeze or refrigerate properly. Keep your fridge cold – under forty degrees Fahrenheit. You can put meat you plan to eat within a day or two into the fridge part. Otherwise, freeze that meat or fish until you plan to cook it. When cooking, use a meat thermometer to make sure that items have reached a hot core temperature. Gas grill safety is especially important: If a tank is leaking or there’s another problem, it’s best to take it back to the dealer and get the tank replaced. 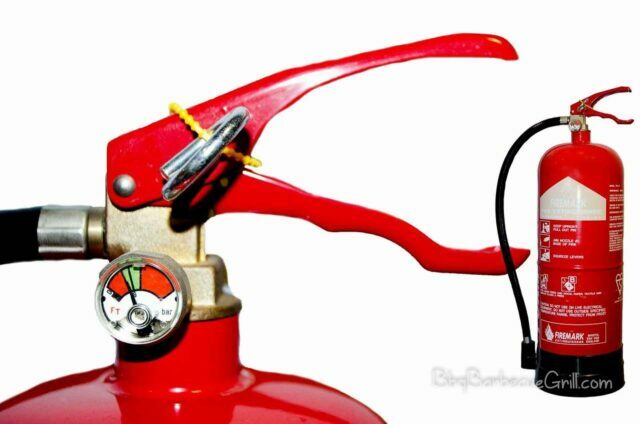 Propane grill owners should check gas tank hoses for leaks before summer. If a tank is leaking, call your dealer. Keep food prep sanitary. I prefer to use throwaway gloves to prepare meat and veggies. There’s a good reason for this – it prevents cross-contamination between raw foods before they are cooked. And yes, there’s been listeria and all kinds of other farm crops that have had food borne illnesses. Don’t take the risk with food borne illness – learn how to stop its spread. Chop and cook veggies and meat on separate cutting boards, and when you’re done with prep, make sure that the cutting board is washed thoroughly. Never cook indoors with a charcoal or propane grill. Because they smoke and pose a huge risk of fire, use them outside, at least 10 feet from the house or any flammable structure. Maintain your grill. Keep it clean of fat or grease build-up on the grill racks. Clean any fat or grease deposits from any trays underneath as soon as you’ve finished grilling. When you are making fatty, greasy foods like steaks, a lot of grease may drip down towards them and cause the flames to shoot up. If you’re under a tree, that could mean a forest fire. Be smart about maintaining your grill, and store it away from flammable materials or objects. Propane grill owners should check gas tank hoses for leaks before they use them and get help from the retailer if there’s a link in the tank. Start a charcoal fire carefully: It’s safe to use charcoal chimney starters, charcoal starter fluid, and electric charcoal starters to get a fire going. Be careful and make sure you are following the directions. Observe your grill: While you’re cooking, you’ll have to continuously check the grill to make sure it’s functioning properly. Always monitor an active grill fire to prevent tragedy and chaos. Keep kids away from the grill. Parental supervision is also a “must” for children up to age 13; dogs should be kept out of the barbecue party atmosphere indefinitely. Avoid injury when cooking: If you’re cooking on the grill, it’s easy to splatter yourself with oil or grease while you cook. Anytime you work close to a hot surface, you should minimize the possibility of an injury. Wear long sleeves that aren’t too baggy, and try a fun apron if you’re getting. Always have a fire extinguisher. Grease fires are common when you’re cooking meat. Just extinguish it and wait for the fire department to show up is there’s a grease fire. Grill on deck safety is important, and even the manual will warn against it. This is where you’ll get your core understanding of the product, from an actual person on the other side of the world. Different models from different manufacturers all have different features, and sometimes they’re safety-related. I can’t reach out through the Internet to find out more about this trend, but be sure that you completely understand the user manual and directions and follow any other additional safety information that comes with your equipment. Sometimes, you just have to read the manual. From there, you can learn about the features and how to turn them on and off. Following these simple safety tips will help prevent injury to you, your guests, or your property. Taking just a few minutes to do these things can reduce your risk and make sure that your barbecue party is a safe and enjoyable one! If you’re looking for more tips and tricks for throwing a BBQ party, please check out our other blog posts on this website. Learn more about BBQ fire safety, how to grill on deck safely, and other important topics to the modern griller.